Why does there have to be a Gay Games? Tom Nobbe gets that question a lot — although the reason becomes a lot more obvious every time the International Olympic Committee must issue a statement assuring LGBT athletes and spectators that they won’t be arrested or assaulted during next month’s Winter Olympics in anti-gay Russia. In a nation where a popular TV star recently said gay people should be burned alive, where President Vladimir Putin called his crusade against LGBT people a fight between good and evil, the IOC has told athletes not to speak out against a law banning all mention of LGBT issues. 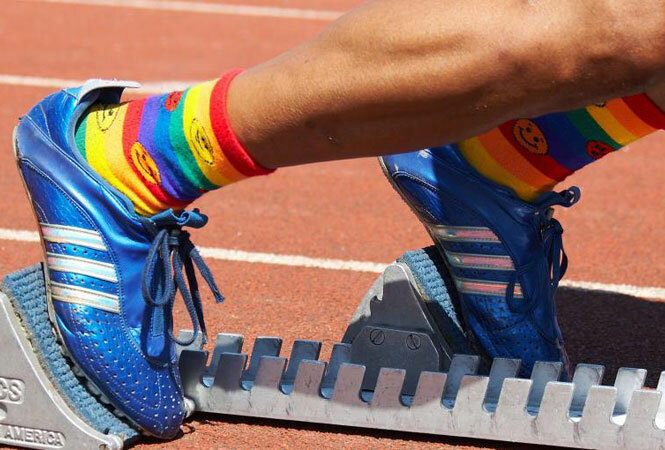 “When people say, ‘Why does there have to be a Gay Games?’ I say look over there,” said Nobbe, executive director of the 2014 Gay Games, which are scheduled for Aug 9-16 in Cleveland and Akron. More than 10,000 participants and about 30,000 total visitors are expected in northeastern Ohio for the weeklong games. Already, people have registered from 24 other countries, mostly in Europe but also including China, India, Brazil and more. More than 200 Russians have applied for financial assistance that organizers make available for people who can’t afford the cost of travel and registration. Cleveland Mayor Frank Jackson has been among Gay Games volunteers and supporters who’ve written personal welcome notes that have gone out to every person registering for the games. They’re mailed in plain envelopes, though. Midwestern hospitality will be the hallmark of these games, the ninth since the event was founded in 1982 by Dr. Tom Waddell, who came out after competing in the decathlon at the 1968 Olympics in Mexico City. Cleveland/Akron is the smallest metro area to host the Gay Games, which have previously been in places such as San Francisco, New York, Chicago, Cologne, Amsterdam and Sydney. It’s also the first host city that’s not an LGBT tourist destination in and of itself. That was a plus for the Gay Games Federation, which chooses host cities for the quadrennial event. Not only will hotels and restaurants be more affordable for travelers, staging the event in the heart of America was viewed as a chance to reach out beyond LGBT Land. “They saw this as an opportunity to change some hearts and minds about our community,” Nobbe said. Ohio organizers see advantages, too, in the 2014 host cities. The Gay Games are just another event for bigger markets, they say; in Cleveland and Akron, they’ll be hard to miss. Opening ceremonies will be in Quicken Loans Arena, and closing ceremonies will be at the Rock and Roll Hall of Fame. Owners of Cleveland’s Terminal Tower will bathe the landmark building in rainbow-colored lights for the week. The Cleveland Foundation has contributed $250,000 to become the games’ first-ever presenting sponsor. Competition in 36 events — individual and team sports, winter sports such as figure skating and summer staples such as swimming — will take place at venues that include Cleveland State and Case Western Reserve universities, the University of Akron, Public Hall, the Cleveland Convention Center, Edgewater Park and Lake Erie, and Akron’s Firestone Country Club and Firestone Stadium. “People will know that the games are here,” Nobbe promised. And the games will leave their mark on northeastern Ohio and its LGBT community long after they’re gone, he said. Regional leaders hope to showcase Cleveland and Akron as diverse, inclusive places, an important social indicator for potential new businesses and residents. Nobbe said he hopes the event will help unite an LGBT community that’s spread out from cities to suburbs. The Cleveland Foundation’s contribution to the event includes a permanent fund that will benefit the region’s LGBT community.